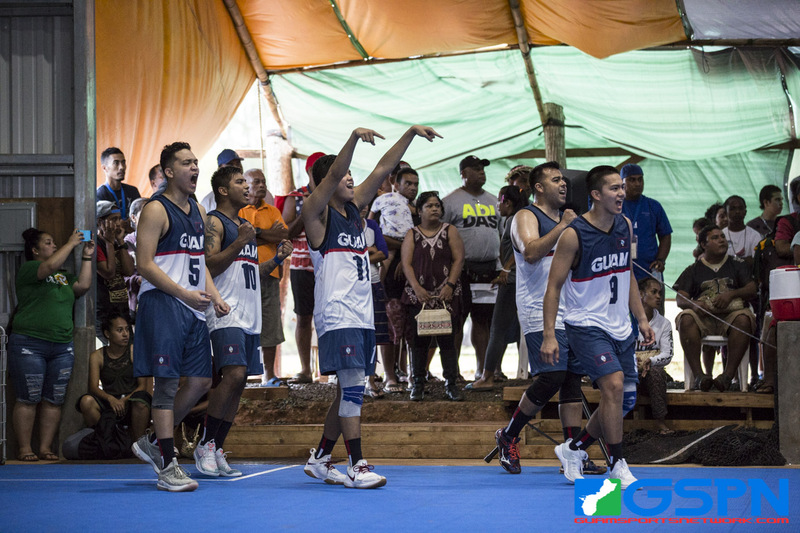 Colonia, Yap – As the island of Guam celebrated it’s 74th Liberation Day, both Team Guam’s volleyball teams celebrated Saturday wins in their second day of competition in the 2018 Micro Games. The ladies grabbed a win over the home team Yap in the morning 25-17, 26-24, 20-25, 26-24 and the men picked up their first Micro Games win a close contest over Chuuk 25-21, 15-25, 26-24, 27-25. The men’s volleyball team ushered in their first win of the 2018 Micro Games in dramatic fashion as they held off the hard-hitting team from Chuuk in four sets. Guam’s Eric Ada and Devin Maluwelmeng were big throughout the opening set with Ada totaling three blocks to Maluwelmeng’s four kills and one block. Chuuk dominated the 2nd set, closing out the game on a 10-1 run that stifled Guam’s momentum. A wild back-and-forth 3rd set ended at the hands of Guam’s Leandro Reoligio for the final kill 26-24. Neither team had more than a two-point lead within the set which provided action all the way through. Both teams replicated their efforts in the 4th and final set, but line errors would hurt the Chuuk team on four different occasions. Guam benefited from the free points as a hitting error from Chuuk ended the contest, giving Guam their first win in the volleyball round-robin format. After Guam dominated most of the opening set, the home team Yap rallied to give Guam’s ladies much tougher competition. Guam’s Joie Blas was instrumental in a close second set where she registered three kills in the set and a big block to tie the game at 23. The team rallied behind Blas as Lori Okada locked up the final point for a 26-24 set to go up two to none. Yap came out firing in the 3rd set as the posted an 11-5 lead in the early goings. Guam couldn’t dig themselves out of the deficit, resulting in their only lost set 20-25. The 4th set presented six lead changes before Blas started to get to work again. Joie smashed a free ball to get up 16-14, followed by another big hit off a set from teammate Samyra Duenas to get up 17-14. Yap would go on two short runs to get back in the game, tying it at 20. Both teams battled into a 23 tie, but errors from Yap would eventually end the match giving Guam the 4th and final set.